London Dental Smiles offer a great range of Facial Aesthetic procedures alongside their cosmetic dentistry to help reduce the signs of ageing, repair damaged skin and give you a healthy glow. This can help you to have healthier, more youthful looking skin and really boost your confidence. Our range of facial aesthetic treatments aim to improve the appearance of scars, skin discoloration, sun damage and acne. These procedures are designed to reduce the appearance of any facial imperfections you may have and give you the glowing, beautiful skin that you deserve. 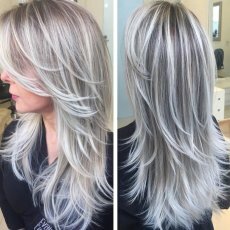 Do you aspire a smooth, natural and younger look? 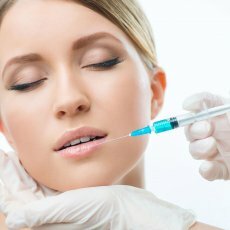 Botulinum toxin injection is a popular facial aesthetic treatment used to restore ageing skin. It has minimal adverse effects and gives the predictable outcome. When we grow older, our skin develops fine lines and wrinkles. The wrinkled skin makes you have less confidence and self-esteem is lowered. In the past many people sought surgery to restore their beautiful young skin, the procedure was painful and took longer to heal. 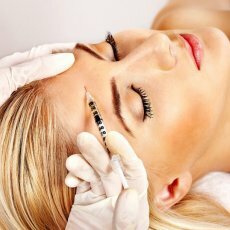 Nowadays people use temporary anti-wrinkle injection because they give a natural look and done within a minimum time. During the treatment, no bleeding occurs, and results are instant. 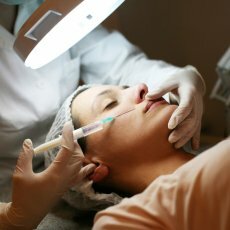 Before undergoing the Botulinum toxin treatment, it is critical to evaluate the best specialist to offer treatment to eliminate any risks to occur. At London Dental Smiles we provide the best services with our knowledgeable and experienced dentist team. We value our clients by providing the best ethical and appropriate care to help them restore their beauty. The doses are used to relax specific overactive muscles on the face, which cause wrinkles. Botulinum toxin injection is used to remove, frown lines, horizontal lines on the forehead and crow’s feet on areas surrounding the eyes. The muscles relax and smoothen the overlying skin and wrinkles dramatically reduce. The botulinum toxin injection can also be used to prevents sweating on the palms, armpits and forehead. The procedure is fast and straightforward taking between 15-30 minutes only. Unusually mild or no pain experienced during and after the treatment. Anesthetic not required in the procedure. After 48 hours the effects are visible and the paramount outcome in two weeks’ time. The modulation toxin treatment lasts for 3-4 months. The only risk involved is bruising and swelling for a few hours after the treatment. Tear troughs, eye bags and dark eyes patches are a cosmetic concern to many people. Tear trough is the protruding skin on the lower eyelid. As age cripples in, the skin starts to lose its elasticity and reduce in volume. As a result, the skin around the eye bags appears to be relatively bigger affecting the appearance of the face making you appear older. However, tear troughs and the eye bags are more genetic related that age-related. Dark eyes and sunken eyes can also be caused by eye wears or some sought of underlying diseases. All these problems can be corrected by the use of either surgical procedure or by the use of non-surgical procedures. At London dental smiles we provide qualifies non-surgical treatment for tear trough related eye problems that can affect your facial appearance. 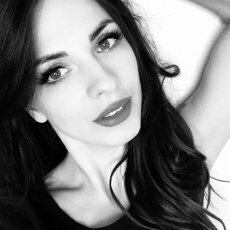 The main procedure to correct tear troughs and eye bags is by the use of dermal fillers treatment. A dermal filler can help to correct tear troughs and the sagging skin around the eyelid by filling in with the dermal filler injections. The injection helps to increase the volume of the skin around the lower eyelid hiding the depression or the trough. The dermal filler injection is directly injected in the hollow that is between the cheeks and the eyelids lifting the sagging skin up. This process helps to improve the appearance of the area around the eyelid and the upper cheeks. Dermal fillers can last for years before you need to renew it. It is also possible to correct the tear trough, eye bag, sunken and dark eyes all in one procedure. With the advancement of non-surgical treatment, it is possible to correct your problem within the shortest time possible. Tear trough dermal filler treatment takes roughly 30 minutes for the procedure to be completed. While a full recovery will take a maximum of 24 hours, the results start manifesting itself between six to 24 months. The thread lift is an effective cosmetic treatment used to lift and tighten sagging skin tissues through inducing collagen. Polydioxanone material makes threads. For a long time, the PDO threads have been in use in wound and surgery closure. PDO thread lift is a standard skin lifting procedure today. The threads are fine and absorbable, inserted deep in the skin to lift skin instantly, to help cellular renewal by collagen stimulation, and to tighten skin. The PDO thread lift helps to reduce fine lines, skin texture and elasticity. The PDO thread is introduced in the required area, and they form a support structure for the tissue due to collagen synthesis. Six months after the procedure, the lifting effect reaches its peak because of collagen forming around the threads. Cellular rejuvenation effects cause the lifted facial contours to remain for 3-6 more months. The cells are also stimulated to produce new blood vessels and collagen, at the same time fat tissue contract making the skin tighten and have a slimming effect. Depending on the skin rejuvenation and lifting needs, our specialist at London Dental Smiles will help you have the best thread form the different threads available. A very safe procedure and takes approximately 30minutes- 1hour depending on treatment area. Pain is moderate or none at all. Full recovery time is 2-7 days. Anaesthetic is used in various options. 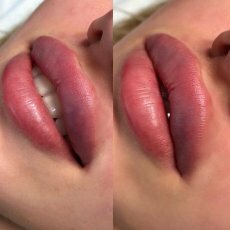 The results will be seen in a period of 2-6 months, as new collagen develops between the threads resulting in further skin lift and tightening. Bruising, swelling, insufficient lifting, and asymmetry may occur after treatment. The lifting effect may last for 2-3 years. Mesotherapy treatment is a non-surgical cosmetic treatment that involves the injection of various substances in the skin. Some of the commonly used substances include pharmaceutical substances, vitamins, enzymes, hormones, plant extracts and homeopathic to rejuvenates the skin. Mesotherapy is used to remove excess fats in the skin, remove wrinkles, tighten the skin, lighten skin pigmentation, reduce cellulite and recontour the body. Mesotherapy technique involves the injection of the above substances into the middle layer of the skin called mesoderm using needles. The kind of injection that is appropriate for your treatment may be different from any other person since there no particular procedure on mesotherapy. The main pharmaceutical substances that are injected in the skin include the antibiotics and vasodilators. Hormones that are injected include calcitonin and thyroxin in the skin while the enzyme that is commonly used include collagenase and the hyaluronidase enzymes. Other substances include herbal extracts, minerals, and vitamins depending on your need. Depending on your condition you will need a prior visit to your practitioner to be brief on the procedure and what you will expect. The procedure takes roughly 45 minutes to be completed. You may or may not get anesthetic numbing prior to procedure depending on your treatment. You will need to avoid any non-steroidal noninflammatory drug because it may cause excessive bleeding prior to mesotherapy treatment. You will be required to have several sessions, a minimum of three treatments is recommended. Initially, you will get an injection after every seven to ten days. When the result starts to appear the interval will change to a week or even months. Mesotherapy is an effective non-surgical procedure that is mainly used to correct body contours and remove excessive fats in the body. Since it is a non invasive treatment, the patient can be treated and continue with his daily activities without any problem. Profhilo is a non-surgical skin rejuvenation laxity treatment that is able to give visible results in a very short period. Profhilo treatment is great for people with visible signs of aging mostly people of the ages 50 years and above who want to rejuvenate their aging, dull and sagging skin. Normally skin is elastic in nature, age and other external factors can affect the elasticity of the skin. This affects the appearance of the skin to become dull, dry and form wrinkles. Profhilo has been proven to work perfectly well to correct the skin laxity. Profhilo procedure should only be done by most qualified practitioners because of it a relatively new non-surgical cosmetic procedure. While both Profhilo and dermal fillers use hyaluronic acid, profhilo is not a filler rather it is a bioremodelling treatment that works on treating skin lifts from the inside. 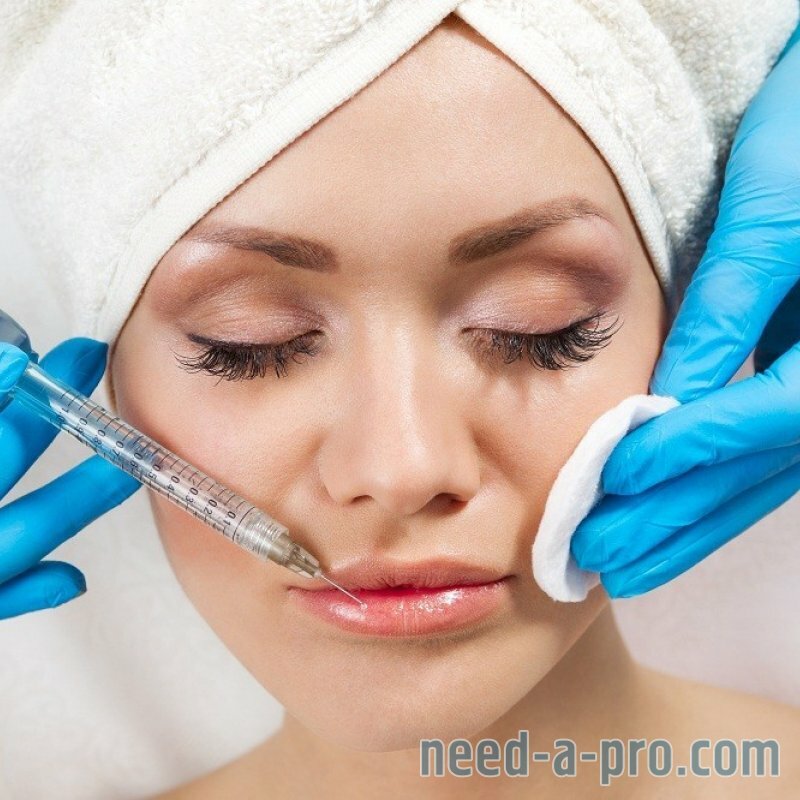 However, Profhilo has a very high concentration of hyaluronic acid that is injected several times on the area of concern to improve the appearance of the skin. The hyaluronic acid injection hydrates the skin stimulating the growth of collagen and elastin in the skin. It adds weightless volumes on the skin making it become tighter and reduce the sagging effect. Profhilo has a unique skin lifting and tightening effect on a sagging skin. The procedure takes roughly 30 minutes to be completed. The treatment takes two main sessions in an interval of one month. The practitioner puts five injections in the area of concern for effective treatment. The results are usually visible after the first injection, however, the best result is visible after the second injection. Profhilo treatment is suitable for your face, hands, and neck. It is a quick and comfortable procedure that has no downtime. 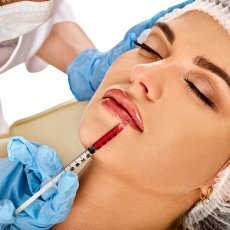 Vampire facial is also known as platelet-rich-plasma is a new facial treatment in town that is making use of platelet-rich plasma. Platelet-rich-plasma is a therapy that involves the use of ingredients of your blood to regenerate new cells on your skin. Platelet-rich plasma can be applied on facial lifts to improve your facial appearance. The blood contains a liquid substance called plasma, it also contains other compounds like red cells, white cells, and platelets. Each of the ingredients has its own role. Red blood cells help to circulate oxygen in the body, white blood cells help to fight diseases in the body while platelets are responsible for blood clots to avoid excessive bleeding during injuries. We are going to deal with platelet because that is where our interest is. Platelets are responsible for blood clots. It contains a protein called growth factors which helps in stopping bleeding by making the blood clot around the injury and help create a new skin cell on the injury. Platelet-rich plasma has a larger concentration of platelet that is achieved by getting a sample of blood from the patient and spin it in a centrifuge to separate plasma from the blood. The plasma rich platelet is rich in growth cells. When the platelet-rich plasma has injected the body, the body reacts by as if there were some injury producing more growth factor to rebuild more collagen on your skin. Some practitioners use plasma rich platelet alongside dermal fillers to fasten the procedure. 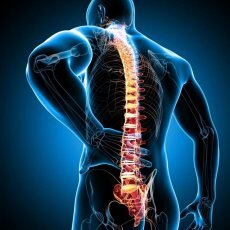 The procedure takes roughly 45 minutes, however, the full recovery takes between 24 to 48 hours. Vampire facial procedure has long-lasting results that can take a duration of between one and two years. The procedure works differently for different people. It is a little painful and uncomfortable for some people meaning that you need to be advised by your practitioner before you undergo the procedure.